Disney XD is bringing us a new offering, Neckpee Island. Neckpee Island is a new half hour sitcom about a out of control kid, who is kinda a troublemaker, gets the shocking news that his father will be moving them to a remote island, yes, Neckpee Island. Hopefully, living on a remote island will keep him out of trouble…. think again. I am sure there is lots of trouble to get into on the island and many situations that can make this a pretty fun, new, Disney XD show. Our troublemaker is named OB, a middle school student. His father is a scientist and OB attends school where he becomes suspicious that something may be going on and his faculty adviser may be up to something. The role of ob has already been cast. 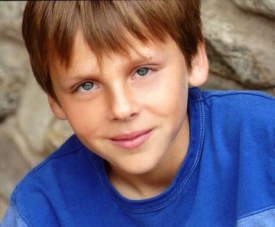 Casting directors chose Jacob Bertrand to play the lead role. Casting information for the rest of the cast is not yet released and casting directors may be holding auditions to cast supporting roles as well as other series regulars and guest stars. Jacob Bertrand is 14 years old. He comes to Disney XD from Nickelodeon’s Marvin Marvin. Jacob also had recurring roles in the animated series Bubble Guppies, co-stars in the upcoming movie Jinxed and had some spots on iCarly. Jacob may just be the next Disney breakout star, or at least Disney executives and casting directors seem to think so. Jacob got 2 shows. The TV pilots for Kirby Buckets and Neckpee Island are in the works and Disney is hoping that one of those shows will go to series making Jacob the next big Disney Channel boy star. Both shows are being made as pilots but Disney execs have plans to only make one of them a series. We will have to wait to find out which one. Disney also used the same approach when they cast Selena Gomez as the lead on 2 shows and Wizards of Waverly place went on to make her a house hold name. “Kirby Buckets”, the other show that Jacob had auditions for and obviously got, has him playing a kid with a huge imagination who wants to be an animator. He and his buddies run into all sorts of comical situations as well as disasters. If you would like to audition for either of these shows you will need to ask your agent about the project quickly because filming is coming soon. Once the show begins filming there will most likely be casting calls released for smaller parts such as guest stars, featured extras and extras. So keep your eyes peeled for Disney XD auditions coming this way for one of the 2 new shows above. Hey I’m Janeiry, I’m 12 years old. I live in Minnesota. I’m in 7th grade. I have dark brown hair and dark brown eyes and I speak English and Spanish. I was born Aug.25 2002 and I’m 5″2. I would be really, really happy if you gave me a chance. I have watched Disney channel, Disney XD all my life and it would be a honor to be given a chance to audition for you guys. One of the sports I’m in is cheer leading. Hobbies: dance, cheer, singing, swimming, soccer. Hi! I’m Nova and I would LOVE to be part of your movie. I have dirty blond hair and brown eyes I live in VA and I’m 10 years old can you send me were the auditions are going to be held. If I could be part of this show then I would want to be just a friend who is in a few scenes. I would be so happy to be on a Disney XD movie, it would make me believe I can do something. I’m good at acting, I can be sassy, mean, and more. Thank you. Hi! My name is Coílean Melarkey and I am a 16 year old white male from Ireland. I believe I have what it takes to be in this show! I have a passion for singing and acting and I have been involved in two school show productions, including, Oliver and Joseph and the amazing technicolor dream coat (I know this is not much, but if you give me the chance to be in Neckpee island, I will not let you down!). I also enjoy dancing, but I have never had any real experience of it, but if you allow me to be in Neckpee Island, I could learn how to dance properly! In case you are wondering, I speak English (my first language), Spanish and German! I would like to join Disney xd on their new show Neckpee Island. Most Disney stars may know me on twitter, and please if you are any one from Disney please give me a chance to show you all my talent in acting and singing. I am also a good athlete, thank you all for this great and fantastic opportunity. i would love to join and be the cast of Neckpee Island disney, because Neckpee Island sounds like an amazingly FUNNY TV show with a bit of dangerous and a lot of adventure. It sounds like a lot of wacky things can happen and it can also get serious as times. I would be super grateful and love to join the cast. I remember my lines easily, can cry at will, do accents, sing, dance, and song write. I will strive for my dreams. I like to take challenges in life and in acting. Try new things and i will work VERY hard on this. I can play different characters or roles. I can be super happy, dumb, a downer, crazy lunatic, and anything you can name. I will be very grateful and promise you, you wont regret hiring me and giving me a chance. My son is almost 3 on the 15th. He has blond hair and blue/green eyes. He would be great for this. Hi, my name is Yasmine and I am 13 years old. I would love to join a Disney Channel show or movie. I have been watching Disney Channel since I was little. Hello! I would like to apply as an actress for Disney movies and series. My parents support me and would drive or fly with me to auditions. hello, I’m Tanisha Samone Gwinn. I’m looking forward to auditioning for these new shows. I think this will be a big change in my life. I would love to meet Austin and Ally and many more. I am 17 year old. eyes: green, brown deep . Hi, my name is Pasheun (Passion) Perry. I want to apply for an audition for this show because I believe that this could be a start for my big break. I am mainly doing this to represent what god made he has called me to become an actress.I am considered African-american but I am light skinned. I am currently 12. I am 5 foot 1 1/2. I have brown hair and brown-hazelish eyes. I live in Clinton Maryland (am willing to go to laurel, Annapolis, Rockville, Baltimore, etc). I am in 7th grade.I have early experience in acting. I was in “Camp Rock 2:The Musical”, “Who’s Your Daddy” (play), “Law and Order: Fairytale Edition, and more. I can be any age character. I can switch from one character to another. I am very funny and caring as i am told by my family and friends. I love all animals they are one of my priorities next to school and others. If any other questions please email my mommy the email provided above, and I look forward to hearing back from you. Have a nice day!!! My name is Hope Rhynas, and I am 14 years old. I am bubbly, friendly, and enjoy being around and meeting new people. I am from London uk. I have a southern English accent however; I am able to do a very believable American accent. I currently attend Tring Park School for the Performing Arts which I have been attending for 3 years. Here, I study 20 hours of professional performing arts training per week. My talent includes acting, musical theatre and pop, also dancing. I have been in many local musicals and productions including, Annie, CATS, Grease, Penny Lane, High School Musical, West Side story, and many more. I have also been in many semi-professional productions (Tring Park) such as, Matilda, peter pan, Footloose, Seussical the musical, The Wiz, Mamma Mia and more. I’ve had experience of Solos, duets and group performances. At Tring Park School, I study acting in depth, and closely study the emotion and feelings of characters, also the physicality of characters to make sure the part I am playing is believable and captures the audience’s attention. I also closely study musical theatre, and dance (ballet, tap, modern). My drama and musical theatre teachers often say I have “the spark” on stage, which not many professionals have. I can adjust to any role given and am able to show a wide range of emotion, to produce an excellent level of acting or singing. Soccer, dance, singing, swimming, intermediate cheerleading, intermediate gymnastics, basic skiing, basic snowboarding, basic ice-skating, running, basic roller-skating, basic clarinet, basic piano, typing, and basic wakeboarding. I am very small for my age, I can potray any of the ages from 11-16. I am built like a gymnast, so I am very muscular. I do spirit and competitive cheerleading. I am also a contortionist. In my free time i enjoy singing, dancing, acting, and cheerleading. 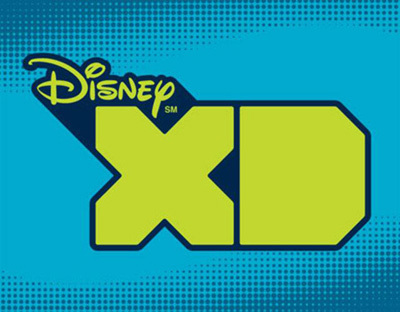 I love anything Disney, even Disney XD. The 2 shows sound great and I would love to get a part in any of them. I want to submit my information for a casting call. My name is Chelsea and I am 13 years old. i am a straight A student and have been in drama club for 2 years. I have been in 4 plays. I can sing and dance also, so I guess you can say I am a triple threat. I wanted to go to the Disney open auditions a few months ago but they were too far from where we lived and my family did not have the money to travel to another State. I hope in 2014, we will have some extra money so I can attend and get my shot to meet Disney Channel casting directors and maybe get picked to be on a new show or even a movie. I just need a chance to show people what I can do. I know I am good and so does everyone who knows me including my drama teacher. So give me a chance and I promise you will not regret you did! How can I get on the show and where are the auditions being held. Please contact me. Chelsea, I didn’t get the chance either because of that. It’s ok, it will be closer to you next time.